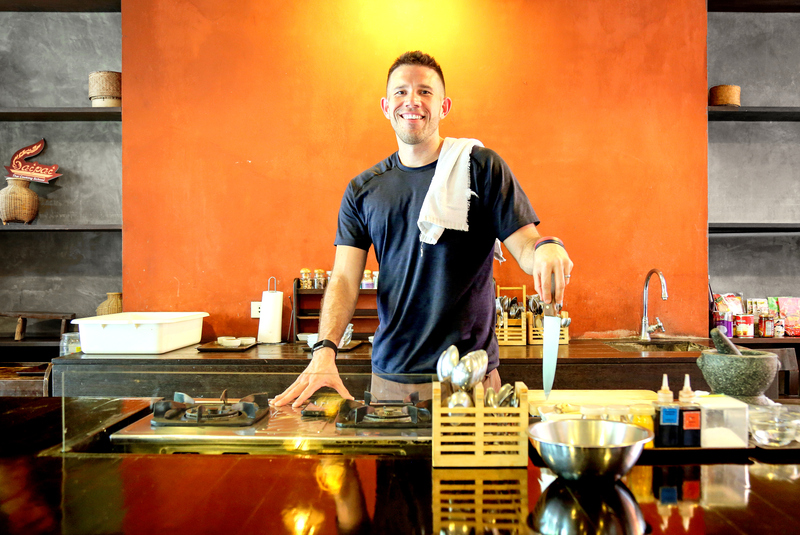 David Olson is a nationally-recognized American Culinary Federation (ACF) Chef, television personality and social network influencer, award-winning recipe developer, livefire grill master, international adventurer-extraordinaire, and the creator behind, "LiveFire Republic" and "A Bachelor and His Grill." David has an attentive audience of more than two million households weekly via traditional media and event appearances, brand ambassadorship, his blog and various social media channels. He is featured annually in numerous live television segments and radio interviews, while his recipes and creative content continue to be shared across the web and in print publications from sea to shining sea. 1. Brine: In a 6-8 quart container, dissolve salt and sugar into water, then stir in beer and vinegar. Let brine rest until cooled to room temperature. Immerse chicken wings, cover and refrigerate for 8 hours, up to overnight. Remove chicken from brine and discard brine. 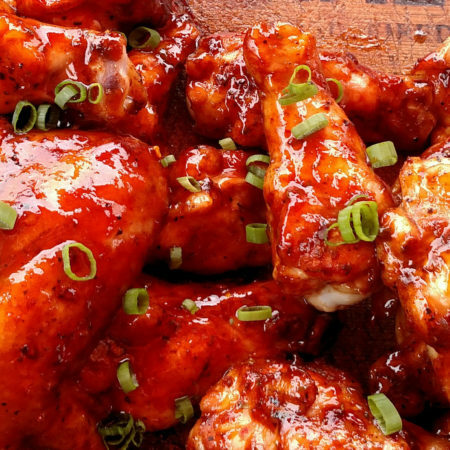 Thoroughly rinse wings with fresh, cold water and pat dry with paper towel. Spread chicken in a single layer over a large baking sheet and place back in the refrigerator for 1-4 hours, to dry and tighten the chicken's skin. 2. Preparing to Grill: 30 minutes prior to cooking, preheat grill by turning half of the burners to high heat, while setting the other side of burners to low heat. 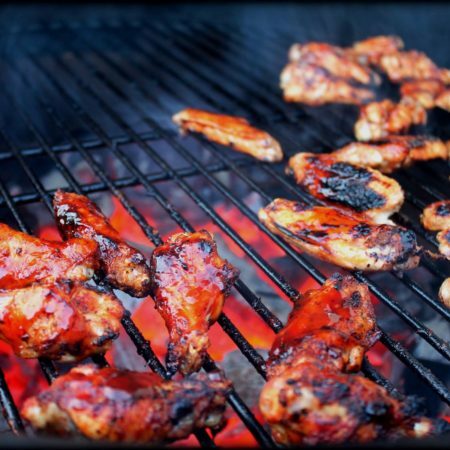 While grill is warming, toss wings in olive oil and a heavy shake of Head Country Championship Seasoning. Rub oil and seasoning into the wings, coating thoroughly, and rest until ready to grill. 3. 2-Zone Grilling: Lay seasoned wings directly over the hottest grill grates and sear chicken 3-4 minutes per side with the grill lid open. Then, turn down all burners to low, transfer wings to the cooler grill grates and close the grill lid. While finishing the wings over indirect heat, intermittently open the lid to baste one caramelized layer of Head Country Bar-B-Q Sauce upon another until wings are cooked through, juices run clear, and have reached an internal temperature of 165F. 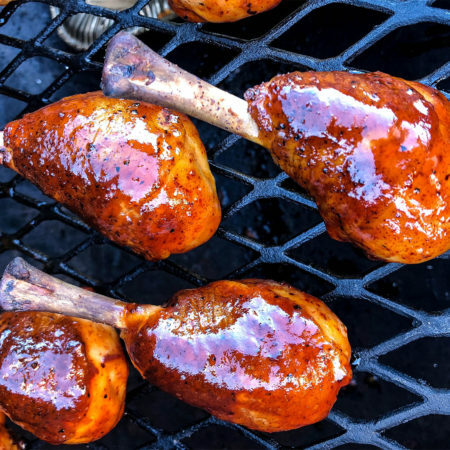 Remove wings from the grill, brush one final time with barbecue sauce, and place under a tin foil tent for 5 minutes prior to serving. 4. Plating: Divide wings amongst serving plates and season with salt and pepper, to taste. Garnish with lime wedges, chopped parsley, and blue cheese crumble. Pair with additional barbecue sauce for dipping and a handful of ice cold IPA brews. Cheers!